Marketing experts nowadays spend a lot of time and effort in providing entrepreneurs with useful advice on how to improve their company’s online ratings, reviews, and reputation. This is unsurprising because the new generation of consumers tends to search the internet about a product or company before making their purchase, and any company would of course want to have a positive buzz around their name. It is normal for businesses, whether small or big, to encounter certain issues with their customers. When this happens, what the business owner wants is to resolve the problem even before the customer expresses his dissatisfaction publicly through various online platforms. Because this is the internet era, positive or negative word-of-mouth can spread much faster. Fortunately, there are simple yet effective ways on how to prepare and handle online criticisms effectively. In this article, you will learn about the different ways to minimize the impact of negative online reviews and still maintain a good online reputation. To be able to adequately manage your online reputation, you obviously need to be active on the different social networking sites. Create a social media account for your company on Facebook, Twitter, Google+, and any other platforms that your customers make use of. Websites such as Instagram, Flickr, Pinterest, Vimeo, and YouTube may also help you showcase the strong points of your company and products. Furthermore, it is also advisable for your company’s executives and even regular employees to join LinkedIn, which is a social media site for professionals. In this way, you will be able to show that you are an established company and may also connect with other businesses. There is no use having social media accounts for your company if they will not be constantly updated. Merely having an Instagram, Facebook, or Twitter account just for the sake of it is not enough. You need to develop an audience to enhance your online reputation and use these accounts to interact with your existing or potential customers. Try to establish a strong social media presence for your executives, business partners, or cofounders, especially if their names are distinctive. Having a weak online presence to keep your privacy just makes you more vulnerable to online attacks. There are certain instances wherein the identity of the company is closely intertwined with the names of its executives. For instance, people often search the internet with the name of the lawyer, dentist, doctor, or engineer of the firm. With this, it is highly recommended for these people to have a presence online and employ a good reputation management strategy to protect these individuals. Your blog can serve as your own platform where you can address any major accusations about your business, if needed. Additionally, it is also a great way to boost your site’s ranking and connect with your target market. Regardless of the attitude or the approach of your customer, never get into arguments online. Defend your company in a nice and calm manner, so you wouldn’t appear unprofessional or harsh to everyone on the internet. When you get emotionally involved in the arguments, it is highly possible for you to end up saying things that can negatively affect your online reputation. When you feel like you are getting drawn into conflict with a rude customer, take a short break to compose yourself. If your company accidentally messed up, take responsibility and genuinely apologize. Moreover, you should also explain why it happened and reconcile with your client. There are surely a number of ways on how to compensate for your wrong. 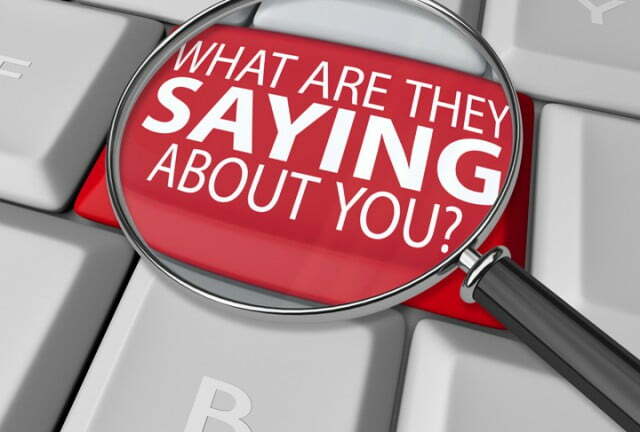 The tips shared in this article can help business owners deal with negative customer feedback expressed online and preserve the company’s good name. These pieces of advice are not meant to totally prevent damage to your reputation, but it can at least mitigate the negative effects. Proactive management of online reputation may cost you some effort and resources, but it can actually lead to savings and greater profits in the long run. For uptime and support you can’t beat KnownHost for managed dedicated servers.